Help to Save is a new government saving scheme to help working people on tax credits and Universal Credit build their savings. Here are the key things you need to know. With Help to Save you get a 50% bonus on your savings. 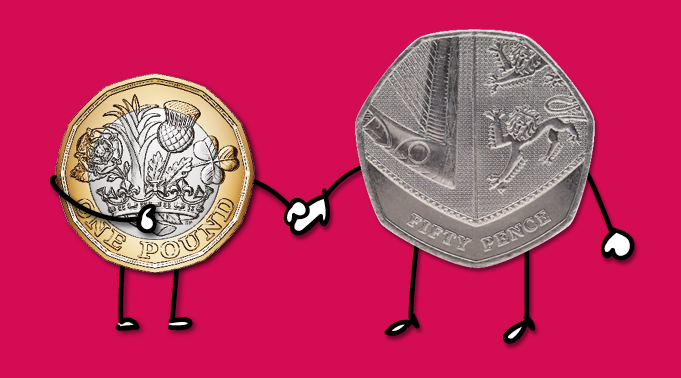 So you can earn 50p for every £1 you save. You can save between £1 and £50 every calendar month and accounts last for four years from the date you open the account. Within these limits, how much you save and when you pay money in is up to you! You don’t have to pay money in each month for the account to remain open. After two years, you’ll get a 50% tax-free bonus on your savings. If you continue saving you could get another 50% tax-free bonus at four years. This means you could receive tax-free bonuses worth up to £1,200, to spend how you like. – Entitled to Working Tax Credit and receiving Working Tax Credit or Child Tax Credit payments. eligible for Help to Save you can each open individual accounts. gov.uk/helptosave or through the HMRC app. – Your National Insurance Number. – Your bank account details – the bonus and any withdrawals will be paid into this account. can create one as part of your application. a weekly, fortnightly or monthly basis to fit the way you manage your money. You can also make one-off payments by debit card when you are in your online account. You can withdraw money at any time from your account. If you receive Working Tax Credits you will not see a reduction in the support you get. or Universal Credit, you can still save! This means that the money you save is secure. Help to Save accounts are available now! Eligible customers can apply now, up to September 2023. Call 0300 322 7093 and helpline advisers will help you get set up. Hillcrest has a team of staff who can help you with setting up a Help to Save account and any Universal Credit issues. Call 0300 123 2640 and ask for Tenancy Sustainment if you need any information or advice, or alternatively you can email customerservice@hillcrestha.org.uk.